Ricki Heller dishes on cooking with multiple food sensitivities and allergies. 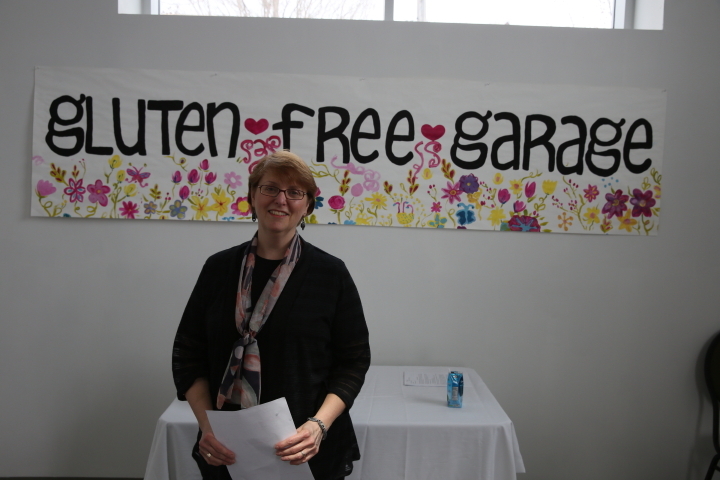 The Gluten Free Garage was thrilled to bring an exciting lineup of gluten-free experts and topics to the inaugural speaker series on Sunday April 28th (free with admission to the event!). Our fantastic five speakers covered a variety of topics related to healthy gluten-free living. If you missed the opportunity to see these speakers in person or if you want to hear them again, you are in luck! Tuesday Talks continues this week with WHAT THE *#&%$@* CAN I EAT? For many people diagnosed with celiac disease or gluten sensitivity, coming to terms with that dietary restriction alone can feel like an insurmountable adjustment. To make matters more challenging, oftentimes a gluten intolerance exists hand in hand with other issues as well, such as intolerance to dairy, eggs or refined sugars. Over the next 30 minutes, Gluten Free Garage guest speaker RICKI HELLER addresses some of the most important points related to cooking with multiple food sensitivities or allergies and how to compensate for them in your recipes. Replacing gluten, eggs, dairy and refined sugars really can become second nature once you’ve got a clear formula and list of possible substitutions. Ricki’s got all this and more up her apron sleeves, so pull up a seat and get ready to take some notes! We know you’ll want it, so here is the link for Ricki’s all-purpose gluten-free flour mix. If you want to experiment with allergy-friendly and vegan desserts, you’ll find 100 recipes without gluten, dairy, eggs or refined sugars in Ricki’s newest book. You can pre-order it today here. Using only whole foods ingredients, a generous pinch of humour and input from her two chatty canines, Ricki Heller shares gluten-free, allergy-friendly and sugar-free recipes on her blog, Diet, Dessert and Dogs. She is also the author of the bestselling cookbook Sweet Freedom, one of only three cookbooks recommended by Ellen DeGeneres on her website. 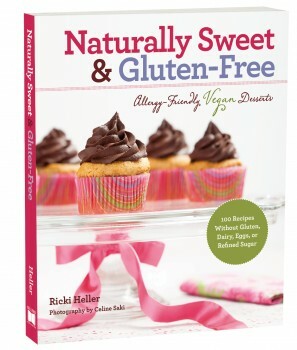 Her second cookbook, Naturally Sweet & Gluten-Free, will be published this coming September. Ricki is also an associate editor at Simply Gluten-Free magazine and has written for Clean Eating, Allergic Living, Living Without, VegNews and many other publications. Ricki lives near Toronto with her husband and two dogs. Wonder who’s up next Tuesday? Moms of GF kids, take note: We’ve got She Let Them Eat Cake‘s Maggie Savage on GROWING UP GLUTEN FREE!